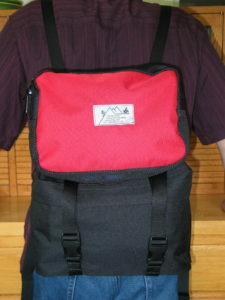 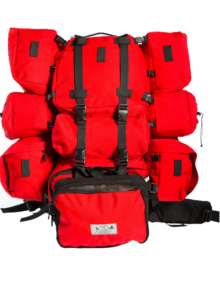 Versatility and value meet again with the baby of the Convertible Pannier Backpack family! 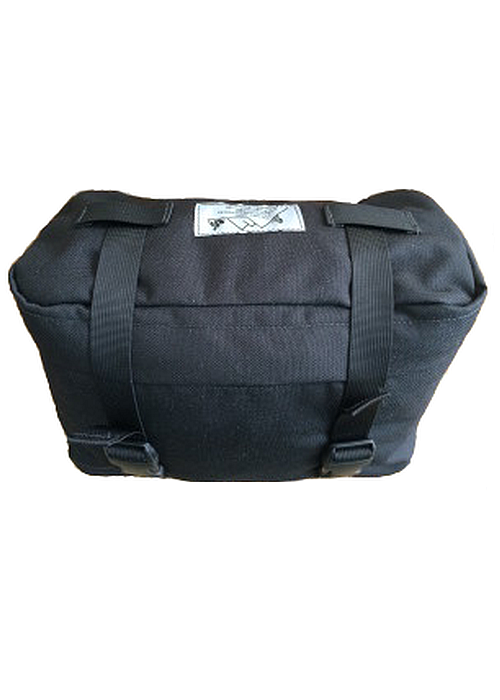 Worn at the waist or mounted on the rear rack, our Shadow Pack carries 650 cubic inches (10.6 liters) of gear and features the same tough Cordura™ and the same reliable #10 zipper chain. 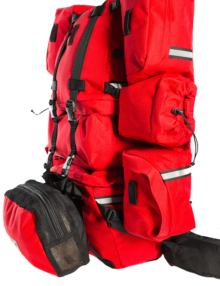 All exposed seams are bound to prevent fraying. 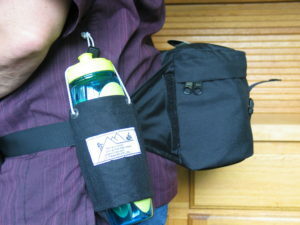 Just inside is a zippered compartment for small items like wallet and keys. 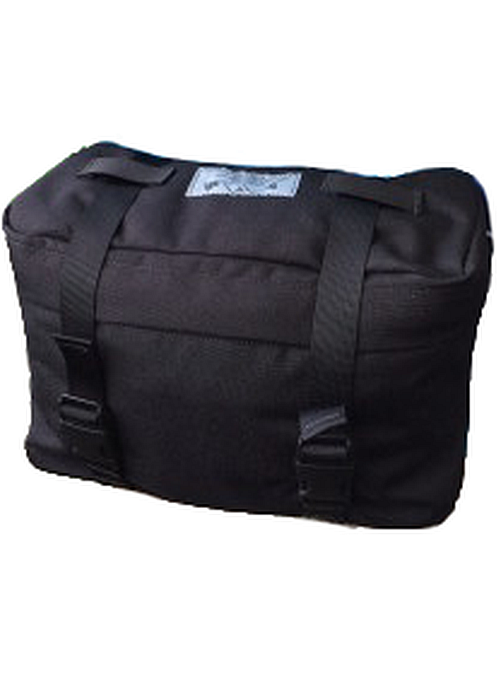 The bottom is made of ballistics cloth, with an embedded cushion to protect fragile cargo from a bumpy ride on the rack. 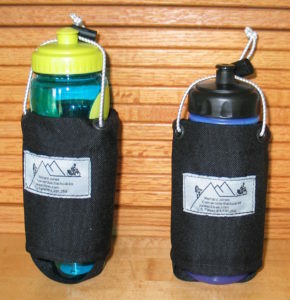 An option with the summer 2016 release is our new water bottle holders, held in place – any place – with a 2″ velcro strap, and with elastic cord at the top to keep them in place when your hiking becomes enthusiastic. 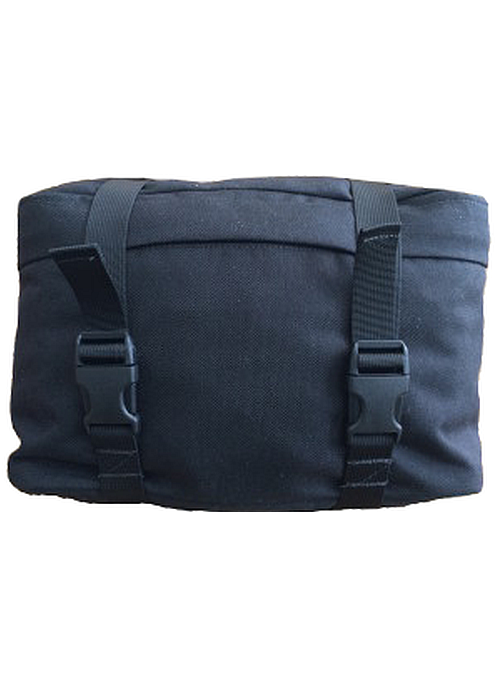 Convert from waist belt to rack-trunk bag by hiding the belt components into their own Velcro-closed sleeve and mount to the rack using the 360 degree compression straps that hold any size load secure. 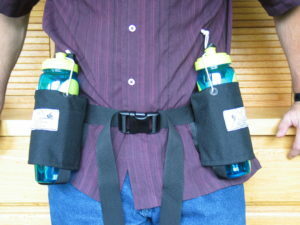 Versatility continues if you desire more day hike capacity. 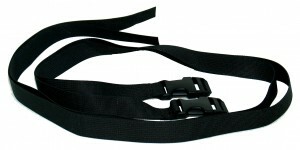 Clip a pair of the 5′ utility straps (comes with the Elite, or available separately) to the Shadow’s 360 degree compression straps, and drop in the Piggy Back (yours already with the Convertible or available separately) and call it a day pack. 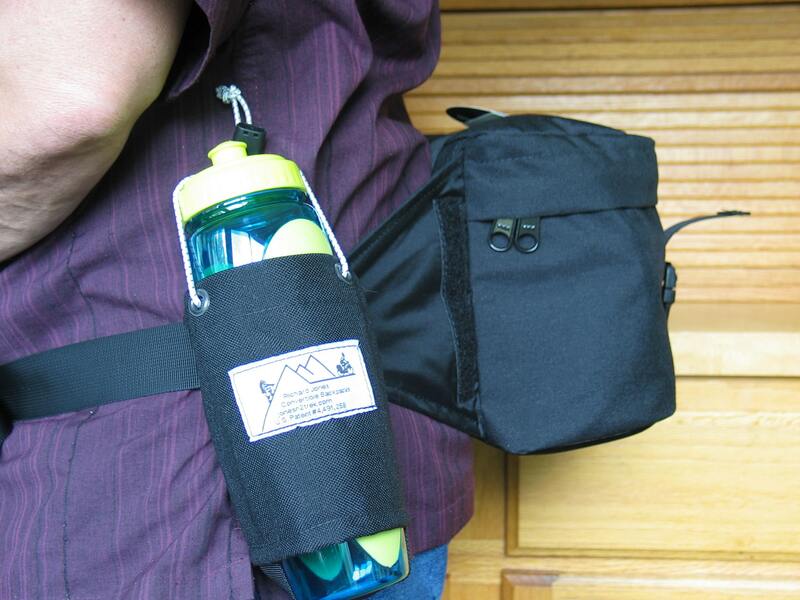 As with any self-respecting shadow, Black is the only color we make the Shadow Pack. At least you’ll know it goes with anything. 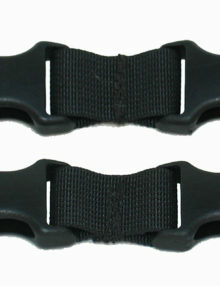 The Double Female Buckle Adapter is a 2nd set of female pairs of buckles similar to the ones that are anchored to the rack trunk compartment between the two pannier sections.